Can you get place 4 in a straight line vertically, horizontally or at an angle before your opponent?. OPEN - L: 11.3cm // W: 8.0cm // D: 9.0cm. CLOSED - L: 11.3cm // W: 8.0cm // D: 2.0cm. Can you be sneaky and stop them from getting there first?. Players can try to get away with as many cheats as possible. Play with your favourite characters from the show. Larger Cards. Printed board back with full logo. Foiled Box. 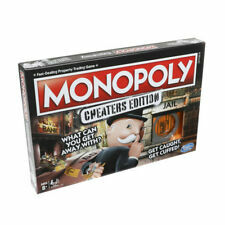 5 out of 5 stars - MONOPOLY - Perfect Family Game - Choose from 70+ Special Editions! 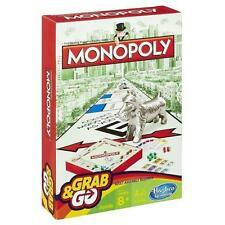 63 product ratings63 product ratings - MONOPOLY - Perfect Family Game - Choose from 70+ Special Editions! These pigs are truly addictive! Be the first to 100 points by throwing your pigs and seeing how they land. Monopoly is sold in 111 countries. 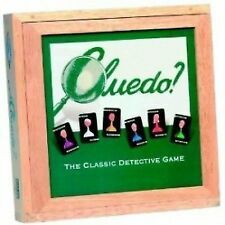 Cluedo has been played from Madrid to Miami. Winning Moves was founded in 1997 and has its international HQ 'The Hub' in Paddington, London. Who can keep a watchful eye over the Harry Potter maze and find the hidden paths to Hogwarts?. Harry, Ron, Hermione, Professor Dumbledore, Hagrid, and Harry’s owl Hedwig are waiting for you to find them. Monopoly Junior is all the fast paced action of the original, but newly designed with kids in mind. Ever wondered what your playing tokens would have looked like before they grew up?. Make a mint or land in jail, your kids will have hours of fun playing against their friends in Monopoly Junior. Get her to land on the 100-point zone on the mat for the win! Play solo or compete with friends. Words can read either across or down, and your word must use a letter tile already in play on the board. 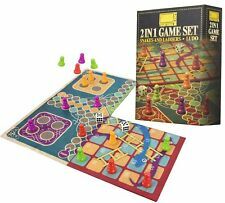 Includes playing board, four racks, 100 letter tiles, a tile bag and rules. We specialise in all things TV and Movie related. Scificollector Character Kingdom. Need help?. or phone on01442 259 612 and we will advise of the appropriate action. TOILET TROUBLE. Funny toilet flushing sound effects. Flush but watch out for random spray of water. Take the fun with you where you go. Now in a mini version that you can play anywhere. Age: 8 years. Number of players: 3-6. Arts / Craft. Trading Cards / Collectables. Construction Toys. United Kingdom. 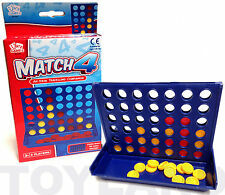 The First Player To Take Out Their Opponent Wins. Take Command Of Your Sea Battle And Get Ready As You Call The Shots And Take The Hits. Fun For All The Family. Squirt cream or wet the sponge on the pie splatting hand, rest your chin on the ledge, and take turns twisting the spinner. Relax, keep your cool and prepare yourselves, as one of you will get a big surprise of cream in your face! Contents: Playing board with popping dice and 16 playing pieces. 4 for each contestant. If the goods are faulty then the standard statutory rights apply. New Products. Ideal for playing while travelling. Great fun for 2 players. 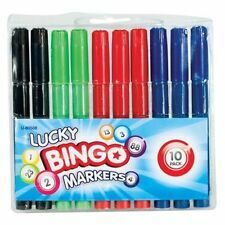 NEW BINGO LOTTO LOTTORY TRADITIONAL FAMILY GAME SET 90 BALLS 48 CARDS UK SELLER FAST DISPATCH Description Bingo is a game in which players mark off numbers on cards as the numbers are drawn randomly by a caller, the winner being the first person to mark off all their numbers. Bingo set includes 90 x Balls 48 x Bingo Cards. Box size 16 x 11 cm. Gloomhaven Board Game NEW FAST DISPATCHING ALL ORDERS PLACED BY 2 P.M.
Players will take on the role of a wandering adventurer with their own special set of skills and their own reasons for travelling to this dark corner of the world. In the process they will enhance their abilities with experience and loot, discover new locations to explore and plunder, and expand an ever-branching story fueled by the decisions they make. 5 out of 5 stars - Gloomhaven Board Game NEW FAST DISPATCHING ALL ORDERS PLACED BY 2 P.M.
1 product rating1 product ratings - Gloomhaven Board Game NEW FAST DISPATCHING ALL ORDERS PLACED BY 2 P.M.
Let your child test their skills and remove all the body parts without making the patient shake. This game is great fun for all ages. 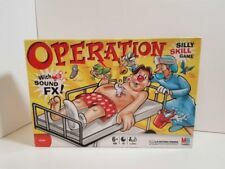 A great fun board game for all the family based on the classic Operation game. Remove all the patient's body parts without making the patient shake Remove the most parts to win Lights up when you touch the sides Requires 2 - 4 players Perfect fun for all the family Battery operated Requires 1 x AA batteries (not included) Recommended for ages 6 upwards. Screwball Scramble can be played competitively or alone and is challenging either way. --Tracey Hogan. The player has to direct the ball along a tilting three-part walkway, use the magnet on a lever to turn the ball in a semicircle, manoeuvre the ball down two steel parallel bars and lead it to the correct exit on a wobbly plastic board. Magnetic snakes and ladders travel set. Magnetic pieces. Foldaway storage board. Suitable for 5 . Easy to storage and portable perfect for travel. The all new Mousetrap. Experience the fun with a swinging boot, a marble, and even a diver flipping into a tub – discover how these wacky tricks work together to drop the cage on an unsuspecting mouse! Game of Thrones meets the Fast-Dealing Property Trading Game in this Monopoly game for GOT fans. 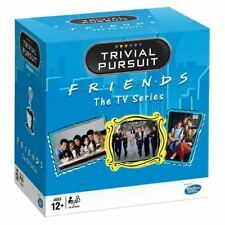 The gameboard, packaging, tokens, money, Chance cards, and game pieces are all inspired by the popular TV series from HBO. Move around the board buying as many Game of Thrones properties as you can. The more you own, the more rent you can collect from opponents. The last one with money when all other players have gone bankrupt, wins. The Game of Thrones Monopoly game makes a great gift for enthusiasts of the show. Click here for more details. Orchard Toys. Manufactured by Orchard Toys. Match, count and race your dinosaurs to the finishing line! Suitable for ages 3 . 2-4 Players. JR Puzzles. Cash and Cheque is not accepted. Get ready for the laughs as players catch the snacks. Warning: Not suitable for children under 8 years. For use under adult supervision. We will be glad to reply and help you to solve any problem. We will try our best to solve the problem for you. 5 IN 1 Games Set Ludo Chess Draughts Snakes Ladders Kids Game Party Fun Birthday UK SELLER FAST SHIPPING BRAND NEW HIGH QUALITY COMES IN BOX Description 5 in 1 Games All in one Includes: Chess, Ludo, Snakes & ladders, Checkers, Chinese Checkers Complete Set of Board Games for a fun family night Great Gift for Kids / Children Educational games Board Size - 15cm. Play the fast-dealing, property-trading Monopoly game on the move! 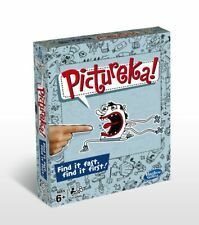 This compact, portable game is perfect for playing on holidays, car journeys or anywhere away from home. Tour the city for the hottest properties, stations and utilities. Invest in houses and hotels and then watch the rent come pouring in! Stay sharp, because there is only room at the top for one! Scrabble is a classic battle of wits and words where every word counts! Designed for 2 to 4 players, in Scrabble you must make the best word you can using any of your seven letter tiles drawn at random.